JUCE now supports notifications on iOS and Android. 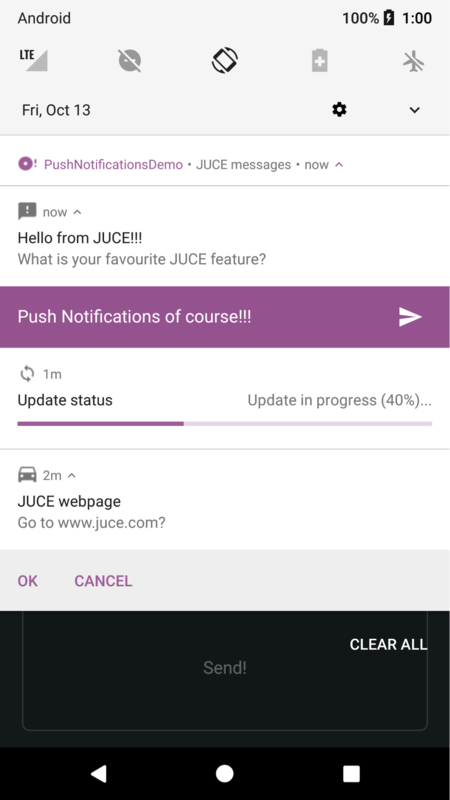 It is possible to send and receive local notifications from a JUCE app as well as to receive remote notifications from Apple Push Notification service or Google Firebase. 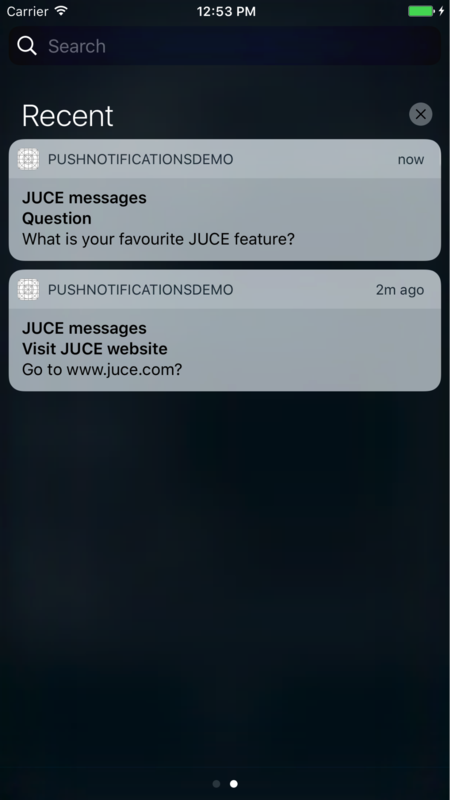 A user can interact with the JUCE app directly from a notification, by pressing buttons embedded in the notification or by entering textual response if needed. Supported platforms include iOS 10 or earlier, as well as Android O or earlier (down to Android 4.0.3 Ice Cream Sandwich). The included demo application showcases the available settings for local notifications on each platform as well as receiving remote notifications. 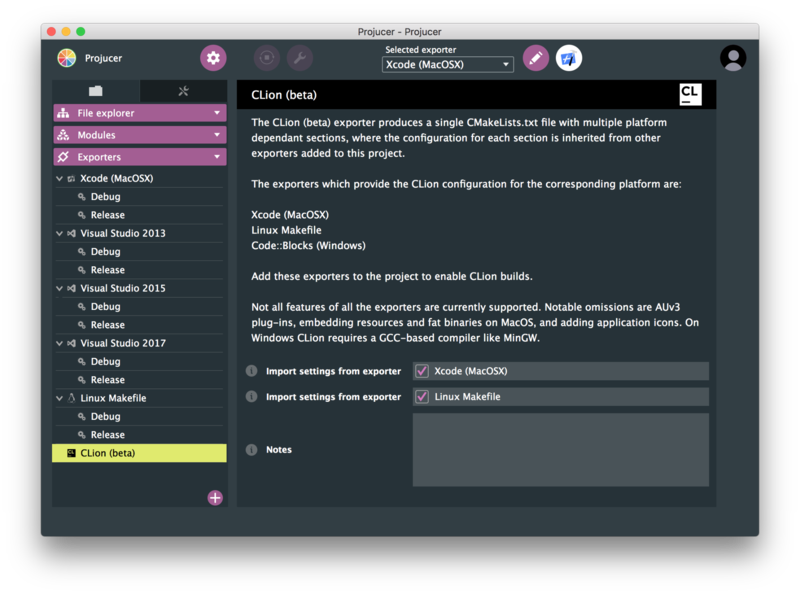 The Projucer now includes a CLion exporter, enabling JUCE users to edit and compile their projects in JetBrains’ most advanced C++ IDE. The CLion exporter produces a CMakeLists.txt which can be opened on MacOS, Windows and Linux. JUCE 5.2 includes a new module containing classes that make collecting analytics from your app much easier. 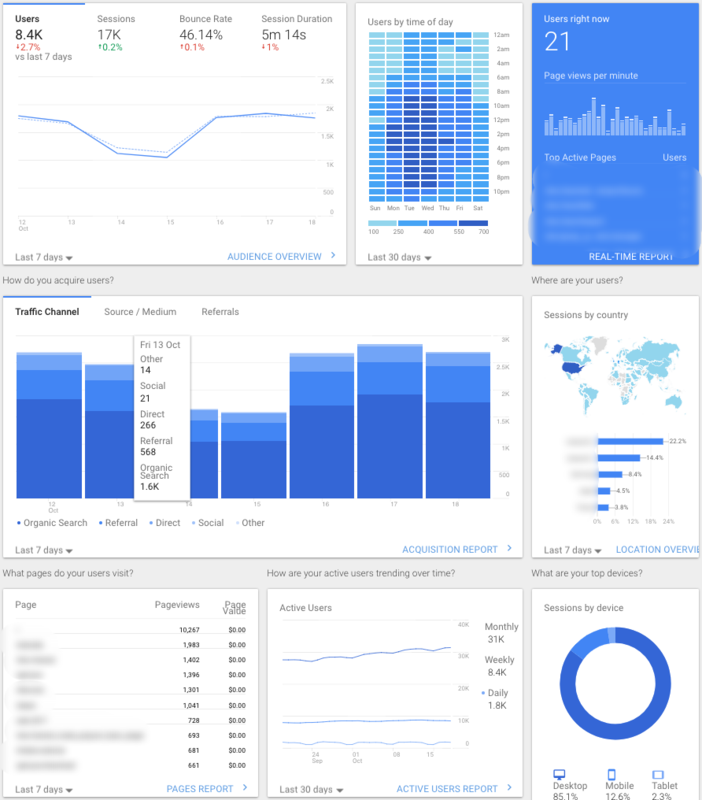 The new example application, AnalyticsCollection, illustrates how to use this new module to transmit app usage information to Google Analytics. Simultaneously logging to other analytics collection endpoints like Firebase is also supported. Possible Issues: Any code relying on "scroll on drag" mode being turned off by default, should disable it manually. Workaround: Explicitly disable “scroll on drag” on mobile platforms if necessary via the Viewport::setScrollOnDragEnabled method. Rationale: It is expected on mobile devices to be able to scroll a list by just a drag, rather than using a dedicated scrollbar. The scrollbar is still available though if needed. The previous setting of Android exporter "Custom manifest xml elements" creating child nodes of <application> element has been replaced by "Custom manifest XML content" setting that allows to specify the content of the entire manifest instead. Any previously values of the old setting will be used in the new setting by default, and they will need changing as mentioned in Workaround. The custom content will be merged with the content auto-generated by Projucer. Any custom elements or custom attributes will override the ones set by Projucer. Projucer will also automatically br add any missing and required elements and attributes. Possible Issues: If a Projucer project used "Custom manifest xml elements" field, the value will no longer be compatible with the project generated in the latest Projucer version. The solution is very simple and quick though, as mentioned in the Workaround section. Android: move android.content.Intent class definition into JNIHelpers. When opening an X display, made it attempt a retry if the first attempt fails. Fixed some false positives generated by the StringPairArray comparison operator, and made it faster for common cases. Corrected a small bug in TextEditor when clicking to the right of the last line to place the cursor. Added 'final' keyword to a lot of classes from which you really shouldn't be inheriting! Android: bailout in ComponentPeerView’s callbacks if underlying host is deleted. Got rid of a long-defunct alias "BitArray". If your code still uses this name, you can just replace or alias it to BigInteger, which is what the class was renamed to. Minor breaking change: removed the legacy swapVariables function. Just use std::swap instead and it'll do a better job! 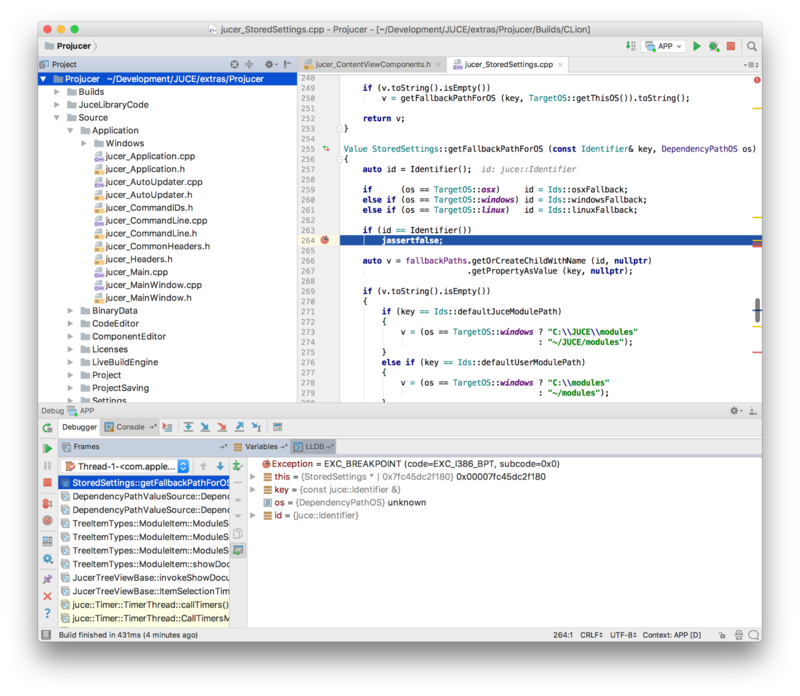 Android: fix getMemorySizeInMegabytes() returning negative values. InAppPurchases: when trying to buy an already purchased item in Play Store, call success callback with “Item already owned” status. Fixed a problem in a static assert in Atomic. Android: add bits missing from “bailout in ComponentPeerView’s callbacks if underlying host is deleted.